Our Swiss program in tailor made for you. Come for 6 weeks on a White Xmas cultural exchange and attend a local Language school or High school and stay with a great Swiss family. Come in Winter get the chance to experience some snow or come in the summer the weather is crispy clean, fresh air with blue sky, crystal blue lakes with lots of adventure and great things to see and do. Chocolate is very popular in Switzerland, enjoy beautiful Swiss Chocolate everyday and eat chocolates to your hearts delight while you dip into a Swiss chocolate fondue after school with friends. Go skiing, walking in winter with your foot planted in White snow. Switzerland has main towns with smaller villages on the outer skirts of each town and all lovely. 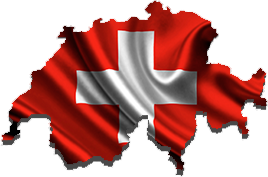 School Life: Switzerland is governed under a canton and there are 28 in Switzerland. Placements are usually in the German speaking part. Students start school at 8am until 4-5pm and have 1-2 hours warmed cooked lunch at home if you live close by or at school. You can take up music, sports, athletics, basketball, volleyball, tennis and skiing, snowboarding in the winter months. They also have gymnasiums to play team sports during the winter. Sport : There are many sporting clubs, private sport activities and local sport teams. Sport plays an important role and this can be done outside of school. Volleyball, basketball, tennis, football, soccer, swimming, athletics, horse riding. Ski clubs, snowboarding clubs. Host Family Life: Host families are caring and welcoming. Host families – you can choose the family you will like to stay with. They are carefully chosen by our host family coordinator in Switzerland and personally interviews the families. All families are security checked prior to student placement. Most are mostly in the German speaking part of Switzerland. Families love to host visiting students. Most of the families have experienced their own child who may have studied abroad and they would like to experience hosting an exchange student now with their family. Families do many activities together, cycling, hiking, visiting museums, shopping, movies. Families will live in major towns or smaller villages. “Switzerland is like a fairytale. The alps are beautiful and I felt really included with my host family.I made some great friends and just loved my time in Switzerland.” Jasmin – Australia. Leisure Time, Sightseeing, Sports: This is the best part. Switzerland has beautiful villages and township you can discover. There is plenty to do. You can join a local sports team, volleyball, tennis, football, basketball, handball, canoeing, tobogganing, cycling, hiking, horse riding and much more.